Darth Sunshine: The card that went around the world....BLOG HOP!! Well....not quite around the world....more like around the Northern Hemisphere. Literally...as in all over the US AND Canada....BOOYA!!! I know you're confused....So, my blog is just one stop among many on our BLOG HOP for our Sweet Sue....and it all begins with Lydia who will explain it all on her blog which is also Stop Number ONE....so if you started on my blog, back up one to Lydia and see how this began....then come back here and see how our Progressive Card for our wonderful friend Sue made its way across the globe...errrr....Northern Hemisphere. Here was my contribution to our Progressive Card...I added the dictionary page that included "Ireland"...since Sue is Irish....and was actually celebrating her mother's life in Ireland while we were making this card for her. In celebration of Sue FINALLY opening her mail (LOVE YOU SUE!!!) I'm giving away BLOG CANDY!!! SQUEEEE!!! This is major for me...first time for a giveaway! So here's a little picture of just SOME of the goodies I'm giving away....stamp sets, Sizzix dies, ribbon, a carryall...and I'll throwing in some ink and paper and BLING (which isn't pictured)!! SQUEEE!!! How to win? Leave some comment love here before Sunday, May 8th at 9 pm CST and I'll randomly draw a winner! SQUEEE!!! Still cracking up over BFF!!!!!! LOVE IT!! Okay - you really got me with the dictionary page with Ireland - that made me a little misty!!! WV: nooffi - you make me feel nooffi and that's why you are my Bwahahahaha-friend-forever! This is the most original idea ever - and I am only on stop #2! Can't wait to see Fred all done! You girls rock! What a nice tribute to a friend, and her mom. The Irish script is perfect. You ladies are not only fun, but are amazing friends as well. You are fortunate to have each other...in good times and bad. I'm sure Sue will "feel your love" when she opens FRED. I just love the progressive card idea! Your addition of the Irish dictionary paper is a very personal touch. Trying to leave a comment shouldn't be so frazzling. Love your blog Dana!! What a marvellous idea. Sue will love it. I met Sue about 8 years ago when she so graciously drove me about Vancouver visiting stamp shops. My DH was in the hospital. We weathered torrential rains and power outages so no traffic lights. She is a great city driver. And a wonderful person to be around. Thank you for offering such great blog candy. Just found your blog via Lydia and I'm liking what I see! I'm also really enjoying the progressive card. What a sweet way to celebrate a life and ease a friend's grief. Thanks for sharing and for the chance to win! I'm thinking this is a great idea! I started in the middle(through a blog I follow), so went back and started at the beginning! This is beyond the best idea ever! I am looking forward to seeing what becomes of this card! I nearly spewed my coffee about your BFF...hahahaa...I know you are going to have a big GUFFAW laugh when we meet! Great card hop idea! Looking forward to the next stop. Ah . . . My Mom was from Ireland. No fair, you guys are getting me all teary eyed. What a sweet, sweet gesture. You guys rock! Wow, Fred is gorgeous! What an amazing labor of love! How fun - a progressive card!!!! Thanks for the candy!!! This is a great idea; sharing talents and the production of a very memorable card for your friend. Thanks for sharing and the chance. What a thoughtful gift! See? 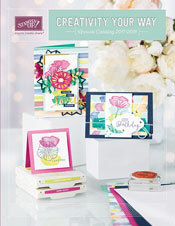 You all are not only creative in cardmaking but even in thinking up this great idea! I love the nod to your friend's Irish heritage. Can't wait to see the finished card! 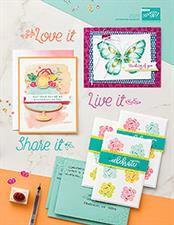 I was just looking for ideas on how to get started with cards and stamping.Draftees are such beautiful spirits! Fabulous idea! Love the dictionary page. This is such a great idea to help a friend at a time in need. Love the Irish page. awe, I love the dictionary page! *hunt for old dictionary is ON! Missyourface! This is sort of like going on a scavenger hunt! I can't wait to see the finished card! Card named Fred - cracked me up - but the sentiment behind the idea touched my heart - very cool, ladies - can't wait to see the final product!! !